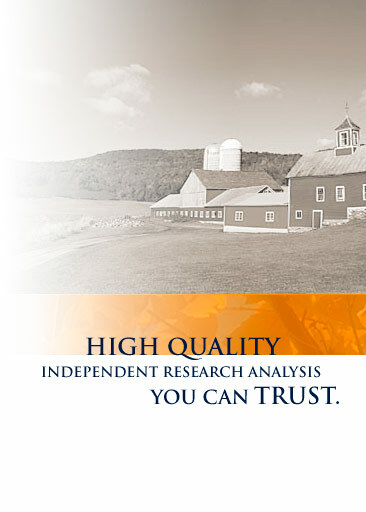 In 2001, highly acclaimed equity research analyst J.P. Mark left his position at Wells Fargo where he ran the Sell-Side Research Department, and converted a rustic farmhouse in rural Rhode Island into an equity research center dedicated to providing superior information to institutional investors. He was inspired by a vision of returning to bedrock values – hard work backed up by honesty, integrity and consistency. His venture, Farmhouse Equity Research, separates research from the classic sell-side investment banking model by eliminating potential conflicts of interest, and focusing solely on the value-added information institutional investors want. Mr. Mark has teamed up with some of the finest analysts in the country and built a network of over 100 research professionals nationwide. Farmhouse combines years of sell-side experience with creative thinking and an effective database of contacts to uncover details that help investors better understand what drives underlying value at targeted companies. Please read more about us in the Wall Street Journal, 'Channel Checks' Sniff About For Trends, by Serena Ng, August 8, 2005, page C1.